Leftover Risotto = Arancini! 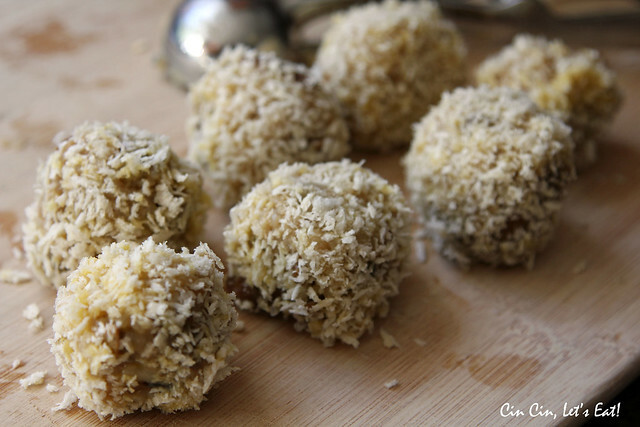 [recipe] – Cin Cin, Let's Eat! 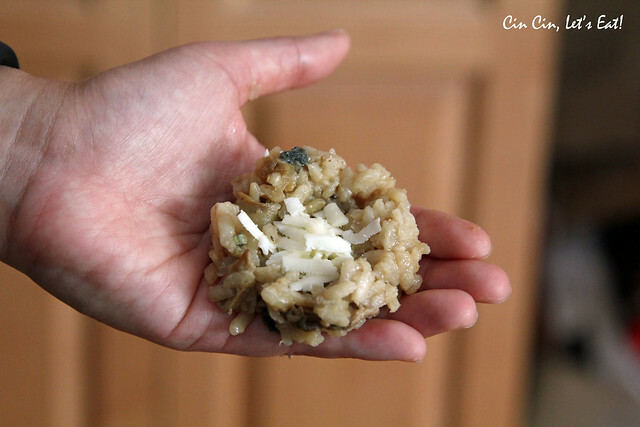 What happens when I have leftover risotto from last night’s dinner? I make a tasty snack out of them, of course! 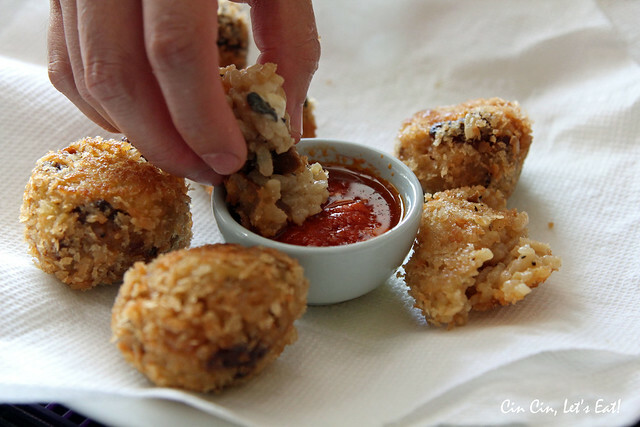 I brought home some leftover and VERY delicious porcini risotto from one of my favorite local Italian restaurant, and turned them into scrumptious fried risotto balls the next day for a good afternoon snack. It’s quite simple, really! All I needed besides the risotto was an egg, some bread crumbs, cheese, and oil for frying. It took less than 20 minutes from prepping to pigging out. Heat 2″ of oil over medium heat in a heavy saucepan. 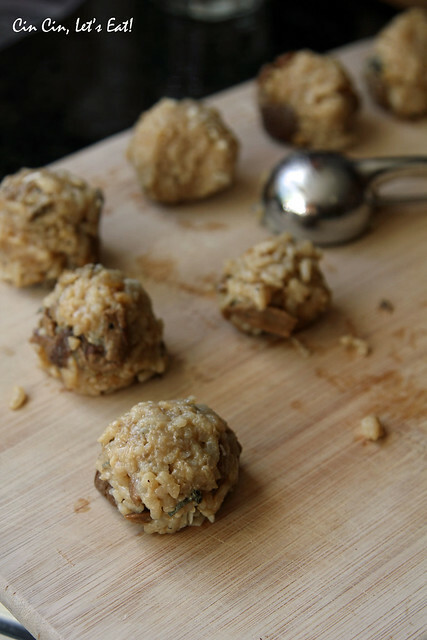 Using an ice cream scoop, scoop out the risotto and form about 8-10 equal size balls, about 1.5 inch in diameter each. 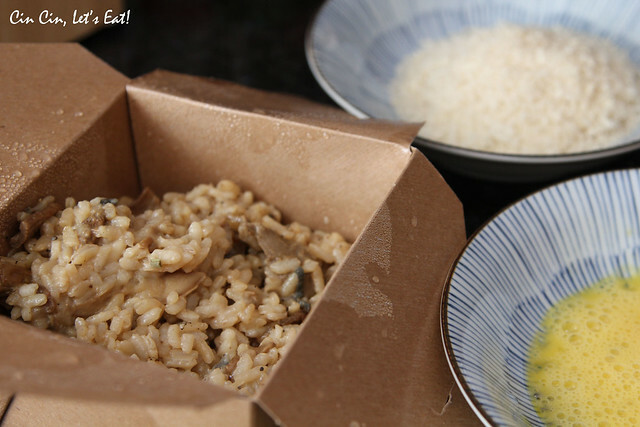 Wet your hands with water, so that the rice won’t stick to your hands. 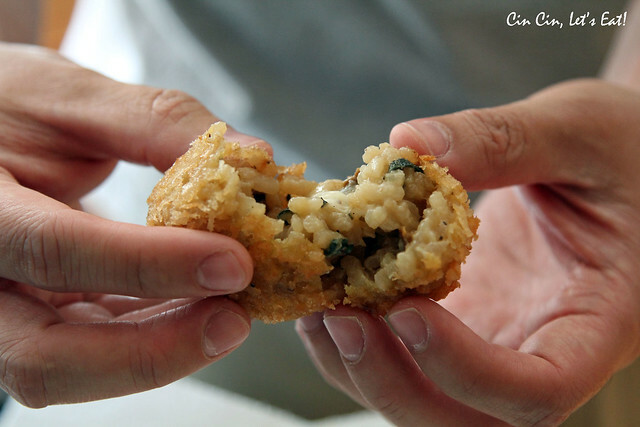 Flatten each rice ball slightly, and place a small amount of cheese in the center. Close and roll it back to a round shape. 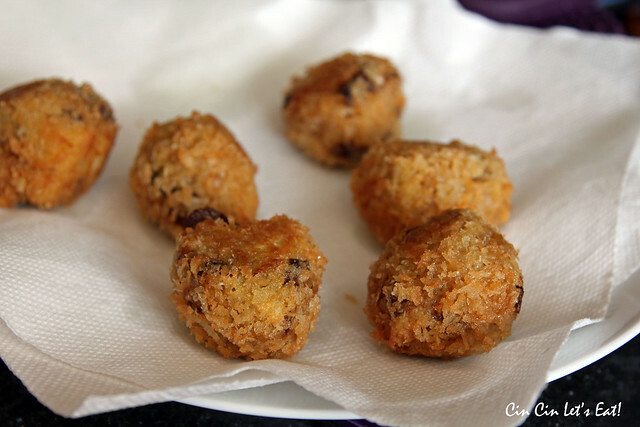 Once all the rice balls have been stuffed with cheese, roll them in egg mixture first, and then in bread crumbs. cheeeeeeeeese! Roll them tight so they don’t fall apart during frying. Ready to take a swim in the hot oil! Trust me, I tried to get that perfect shot of the melty, stringy cheese when I pulled the arancino apart, but SOMEBODY complained it was too hot. Plus it smelled so good that we couldn’t wait to take a bite. Too good! Very filling too. I ate so many of these that I didn’t eat dinner that night.